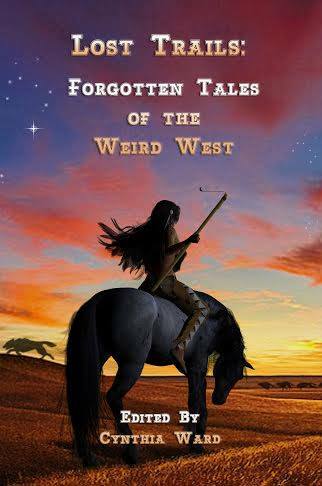 My weird west short story, “Justice,” was accepted by Cynthia Ward for inclusion in this special diversity-oriented anthology of weird western stories. The project appealed to me because I write weird westerns. Having living in the four corners area of New Mexico, Gallup, for over six years, I had a deep respect, fascination and love of the Southwest, the Dine people and the west in particular. Because I’m a speculative fiction author (science fiction, horror, fantasy), my western stories always came out weird. The first volume’s cover was revealed this past weekend, and I’m sharing it with you. I’m very pleased with the imagery, the beauty, and the title. These are stories, of peoples that the glorified Hollywood and television shows and movies either forgot entirely or marginalized. I’m thrilled that Wolfsinger Publication decided to take on this project and titled it accordingly. While as guest at Con-gregate, I spoke on the Weird Western Panel about those other groups of people that lived in the American west, but whose stories are often overlooked. Gail Martin and Misty Massy along with others also commented on the diversity of the west and how weird westerns help tell those tales. What do you think of the anthology’s cover? Would these be stories you want to read? Why? Why not? I haven’t blogged, but I’ve been writing!